My old boss used to say ‘time to eat the frog’ when talking about the thing on his to do list that most troubled him – you know, the one that lurks at the bottom, perpetually torturing you with its very existence, until it grows to toad-like proportions, usurping all other tasks. And he was right to eat the frog from time to time, because it’s funny how spending even the smallest amount of time on the things you ritually avoid can instill a sense of calm. Or maybe not so funny, given that procrastination is surely one of the greatest stressors of the modern world. As a struggling writer (with the emphasis firmly on the ‘struggling’ and often barely on the ‘writer’) it baffles me no end that the things I routinely attempt to hide from are usually related to the one thing I claim to want to do the most. We humans are complex – read ‘stupid’ – creatures. Or maybe it’s just me. Plenty of writers do, after all, write. Many do so for a living. I just dabble part time (or, if I’m really honest, spend 90% of my time worrying about it and 10% actually doing it), and even that is enough to raise my anxiety levels to red. And, while we’re on the topic of anxiety, there’s another by-product of today’s western society, where we have the luxury of almost infinite choice, and yet are simultaneously paralysed by it. In short, we are ruined by our own hands. But then, of course, it’s not all bad. Things rarely are. The key to not just surviving but thriving in this crazy life is, I’ve begun to realise, taking our feet off the gas pedals once in a while; flicking on the cruise control and acknowledging we can only do what we can do. I’m not advocating laziness, or complacency. But what personal experience over the last thirty three years has shown me is that when I put the most pressure on myself I usually perform the worst. Setting goals is great, but when those goals are metaphorically akin to climbing Everest, it’s unsurprising that it’s often hard to take even the very first step. In scaling back ambition – reigning it in just enough to make it achievable – it dissipates the feelings of anxiety and fear of failure that often stop us from beginning our journey in the first place. By all means eat the frog – it will invariably make you feel much better. But don’t put so many frogs in your way you have to eat them all. Aside from anything else, it will give you terrible indigestion. 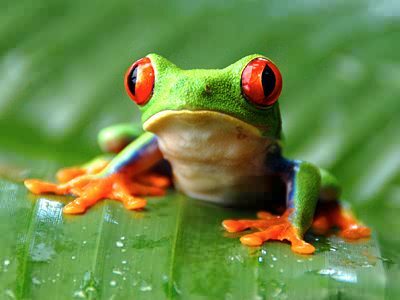 Disclaimer: No frogs were harmed in the writing of this blog post.